The mid-engined Jaguar XK13, a possible Le Mans contender originally built in the 1960s, has been accurately recreated by a classic car expert, who plans to offer exact reproductions for sale. 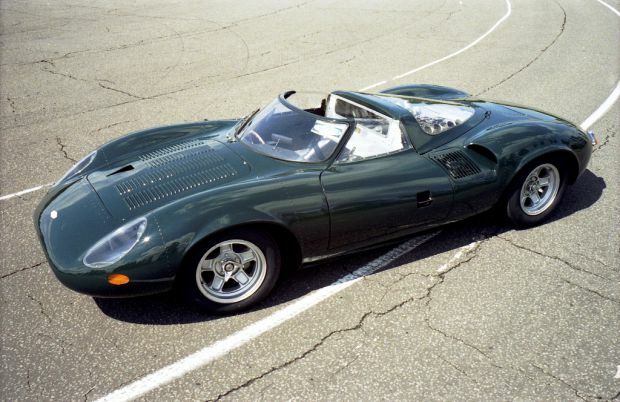 The original XJ13 was completed by Jaguar in 1966 and was powered by a prototype quad-cam 5.0-litre V12 engine. Just one car was completed and it claimed a UK speed record after racing driver David Hobbs lapped the banked MIRA test track at an average speed of more than 161 mph. Remarkably it held the record for 32 years. It was later badly damaged in a high-speed crash, also at MIRA, but the rebuilt XJ13 – still owned by Jaguar – was rebodied and differs in a number of respects from the 1966 original. Its swooping lines have been replicated before, but the version lovingly built by Building the Legend is unique because the company’s driving force, Neville Swales, is ensuring his recreation accurately reflects the original car... right down to the last rivet. It will be even be powered by one of the original six prototype quad cam V12 Jaguar engines. “The project has been supported by surviving members of the original XJ13 Project Team and we have enjoyed the co-operation of Jaguar Heritage which has allowed us unfettered access to its archive. There is considerable international interest in the project and the London Classic Car Show will be the first time the general public will be able to see ­– and hear – the car,” said Swales. As well as being on static display, the XJ13 will be driven along the Show’s unique Grand Avenue highway, hopefully by one of the original test drivers. In the passenger seat will be Mike Kimberley – the original XJ13 project manager. Swales will also be showing the first customer car, which will be powered by a later SOHC V12 engine.